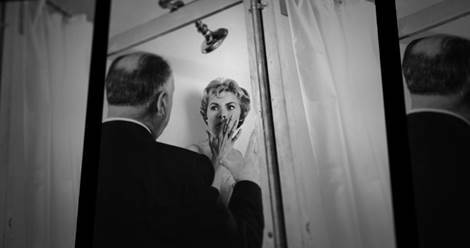 To celebrate the DVD release of the “captivating” Psycho Documentary 78/52, distributers Dogwoof are releasing a new clip from the DVD extras featuring the legendary editor Walter Murch discussing the legacy of the infamous shower scene. Featuring interviews with Walter Murch, Peter Bogdanovich, Guillermo del Toro, Jamie Lee Curtis, Osgood Perkins, Danny Elfman, Eli Roth, Elijah Wood, Bret Easton Ellis, Marli Renfro - body double for Janet Leigh in PSYCHO, Karyn Kusama, Neil Marshall, Richard Stanley and many more. An unprecedented look at the iconic shower scene in Alfred Hitchcock’s PSYCHO, the 'Man behind the Curtain', and the screen murder that profoundly changed the course of world cinema. 78/52 references the number of set-ups (78) and the number of cuts (52) in the shower scene from Alfred Hitchcock’s PSYCHO. One entire week out of the four weeks scheduled to shoot PSYCHO -- a full quarter of the film’s production schedule -- was dedicated to the infamous shower scene.